Dr. Sai Nimmagadda shared with Advocate Children’s Hospital that there is a new trend that is endangering children with allergies called food allergy bullying. Researchers estimate that 5.9 million children under age 18 in the United States have a food allergy. That’s 1 in 13 children, or roughly two in every classroom. And more than 40 percent of them have experienced a severe or life-threatening reaction. That’s why food allergy bullying is so dangerous. It is happening in schools all over the country. In a recent case near Pittsburgh, three teenagers were charged with intentionally exposing a classmate to pineapple despite knowing she had an allergy to the fruit. The student had to receive immediate treatment. And a 7-year-old Utah boy came home in tears after his classmates threatened to make him eat peanuts — knowing he was severely allergic. Others report having food thrown at them. These incidents are not rare. 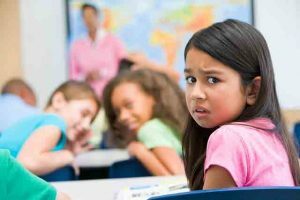 A recent study by Mount Sinai Medical Center found that nearly a third of kids with a food allergy have experienced similar bullying. Parents, teachers and school administrators need to be aware that the threatening is happening among kids, according to Nimmagadda. There are also other serious consequences. The teens in Pittsburgh are now facing felony criminal charges. Do Your Research Even though allergy season may be in full swing, the pollen count may vary based on temperature and weather. Prescribed an opioid? Ask your doctor (or dentist) these questions Stay social and active in your community for healthy aging!